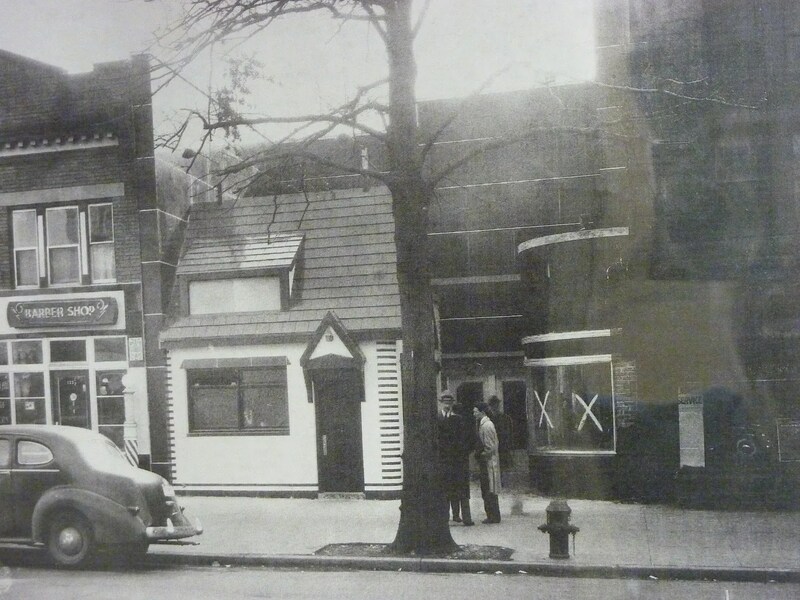 While doing research at the Madison building of the Library of Congress, I happened across this picture, taken c.1940 of a Little Tavern located at 33-1/2 Independence Ave (more or less), which is the same location as the building in which I was doing my research. Construction started on the James Madison Memorial building in 1971. Great picture of a Little Tavern. I find it interesting that it appears there is no signage. I would guess this was taken before it opened? I also love the building next door and the dark colored vitrolite (or maybe its enamel) that wraps the entire lot and the building next door. This entry was posted in Little Tavern and tagged 1940, 1971, black and white, coffee, deco, Demolition, Hamburgers, independence ave, james madison, library of congress, Little Tavern, Little Tavern Shops, loc, moderne, pie, Porcelain Enamel, Sign, Vitrolite by Spencer Stewart. Bookmark the permalink.